The Philips Hue White Ambiance Starter Kit lets you create a better home environment with natural white light controlled wirelessly by your iPhone, iPad, Apple Watch or Philips Hue dimmer switch. At the heart of this HomeKit-compatible system are the Philips Hue bridge - which connects to your Wi-Fi network to then allow wireless control - and the Philips Hue app on your iOS device. Now you can select exactly the light you want and when, from warm white to cool bright daylight. For instance, you can wake up gently to your own "custom" sunrise. Connect the Hue bridge to your Wi-Fi router and wirelessly control up to 50 Hue bulbs simultaneously via the Hue app on your iPhone or iPad. 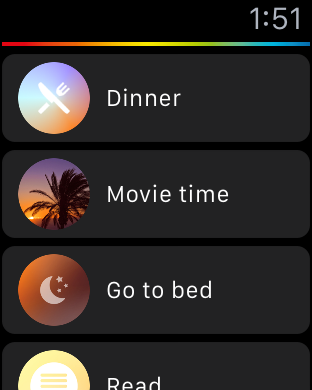 You can also control Hue bulbs with your Apple Watch or the included Philips Hue wireless dimmer switch. Using the timer function in the Hue app, Philips Hue can make it seem like you're home when you're not by switching lights on and off automatically. 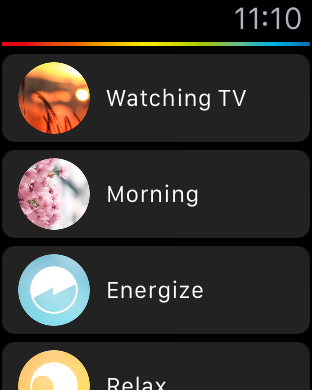 You can also select different levels of lighting warmth and brightness to match your activities or moods throughout the day.